Our award winning gins are distilled in small batches by their creator Shaun (Wardington) using handmade copper stills, ‘Joy’ and ‘Felicity’, to bring you the finest gin from the heart of the Welsh Marches. Our unique labels are also handmade on a 1950s Heidelberg letterpress in the Cotswolds by printer David Lewis at Cherry Press. Each bottle is lovingly signed and numbered. What makes our gin so special? We only use the finest natural botanicals: flowers, fruits and spices; some of which we forage and prepare ourselves, many of which travel from across the globe. 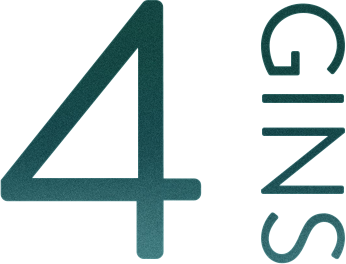 We won’t compromise on quality, so you won’t find any artificial colours, flavours or sweeteners in our gins. Find out more about our mixer recommendations. 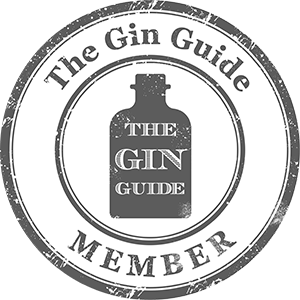 A premium hand-crafted gin made in the Welsh Marches; how did that happen? The craft gin scene inspired me to create a gin of my own, something I’d be proud to drink. 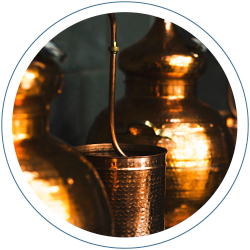 I hand-craft all my gins, using only natural botanicals and no artificial flavours, colours or sweeteners; they are all made in handmade traditional copper stills, the way gin should be! After months of late night distilling, I developed a range of gins at 42% abv, taking my inspiration from the greats. Our classic 'house gin', Ludlow Dry, is perfect as a G&T or the base for a martini - also available in Export at 51% for the serious gin connoisseurs. Our three other gins provide a palette of refreshing drinks - only you can decide which is your favourite.